The Clown School, the Los Angeles-based studio devoted to teaching and promoting the art of clowning and related physical theater disciplines, is expanding its offerings nationwide. Beginning now and running through 2019 and beyond, The Clown School is thrilled to announce the official opening of new branches in Chicago, Annapolis, Maryland and Lorton, Virginia. The classes in Chicago will be taught by Jeremy Aluma. The School is launching an Online Certificate Training in Clown - the first of its kind in the world. "It's a great moment of growth for The Clown School," says founder David Bridel. "Our teachers are now living and working in other parts of the USA, and we are delighted to offer our classes in several new cities. In the past, our students and collaborators have had to travel to LA for our training - now they have the option to find our work all across the USA. "And for those who can't travel, our Online Certificate offers a unique opportunity to begin the journey from home." The Clown School offers the highest quality of clown training to clowns, actors, performers, comedians, and participants from all walks of life, including doctors, teachers, healers, film-makers, and students. 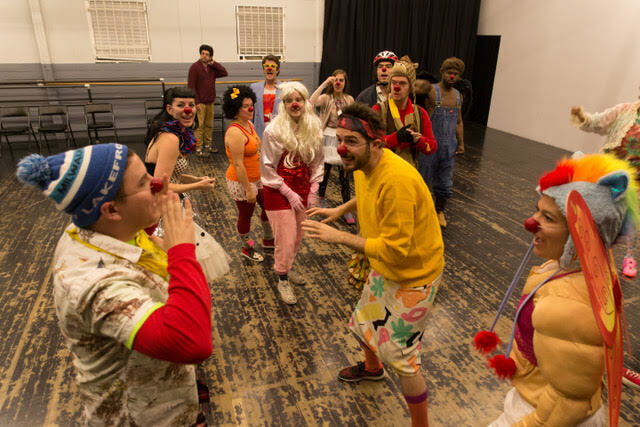 Classes include three levels of Clowning, plus Mask, Commedia dell'Arte, the Jester, Clown and Music, Sacred Clown, and Divine Clown, as well as classes in Writing and Performance and the new Online Certificate. The School has successfully "graduated" legions of new clowns, including many members of the multi-award-winning company Four Clowns. The School intentionally fosters community and connections between artists and people from different backgrounds, and inspires collaboration and art-making outside of the classroom. The School's classes have been described as "truly spectacular and unforgettable" by LA Stage. Since its founding in 2009, the School has traveled to China, Australia, Turkey, the UK, Japan, and Brazil to spread the gospel of clowning.